How to stop an invading force. The Atlantic Wall was a coastline of around 4500 km and therefore it was impossible to place a cannon in a casemat within every yard. So another plan was needed to slow down an Allied force or to stop them for they could reach the coast. Between the Widerstandneste were infantry hidden in bunkers and trenches. From 'tobruks' they fired with machineguns and mortars on the invading forces. For close combat they used rifles, machinepistols and handgrenades. Against tanks and other vehicles there were, beside the anti-tank weapons, mines and pantzerfauste to stop them. But the first line of defense started out at sea. Sea-mines drifted in large packs. The next obstacle were wooden stakes under a sharp angle with a Teller-mine on top. When the tide was high, the mine was more or less even with the waterline. On some beaches where the low tide pulled far back, at least three rows were planted. When a boatsman, in his landing craft, encountered these stakes, he had to swing left and right to prevent to hit one. The tactic to slow down the invasion had begun. When the landing craft had passed the first obstacles, the next ‘surprise’ lay waiting ahead; tree trunks in a tripod position, with Teller-mines, or sharp iron blades to rip open the hull of the craft. Often these were a combination of both on these tripods. The next row of obstacles were the so-called 'Hedgehogs' and 'Tetrahydra's'. 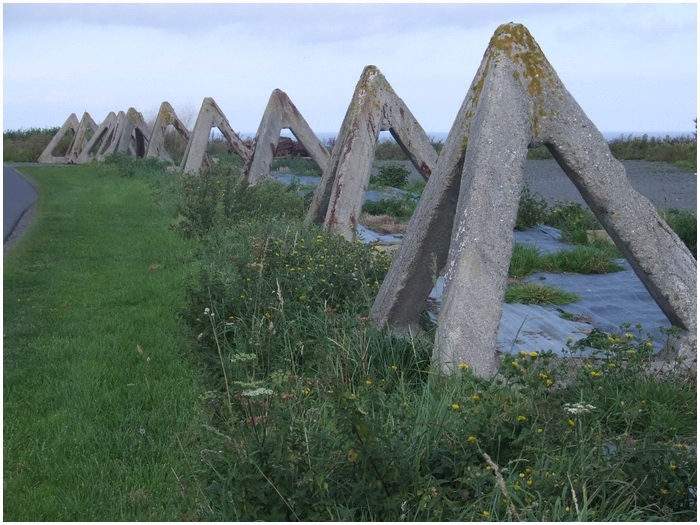 The last were pyramid shaped obstacles of iron beams covered in concrete. The 'Hedgehogs' were iron beams riveted in a angle. 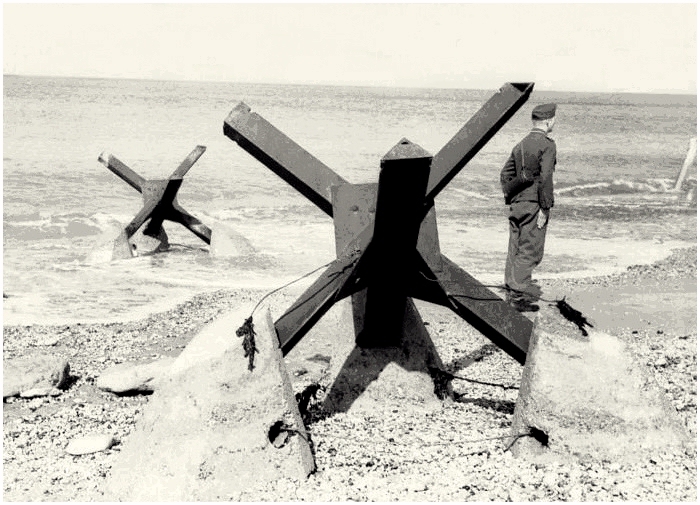 To prevent that the later were washed into sea, some had a base of concrete. During the landing these gave some protection to the Allied troops against the murderous fire that were thrown at them from the German defense. A striking strange obstacle was the ‘Gointet Gitter’ (better known as the ‘Belgian Gate’). This construction was an idea by generaal Léon Edmond de Cointet de Fillain to be used in the Maginot Line. The gates could be connected to a fence. When a tank rolled against it, the gates would interlock and become a fast wall of steel around the tank. 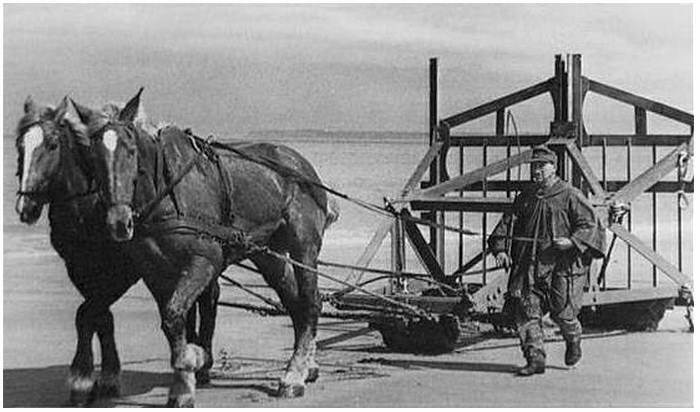 The Germans brought the gates in large numbers to Normandy to use this contraption so that it could be moved with the tide. Between the tides it was rolled through the other obstacles. 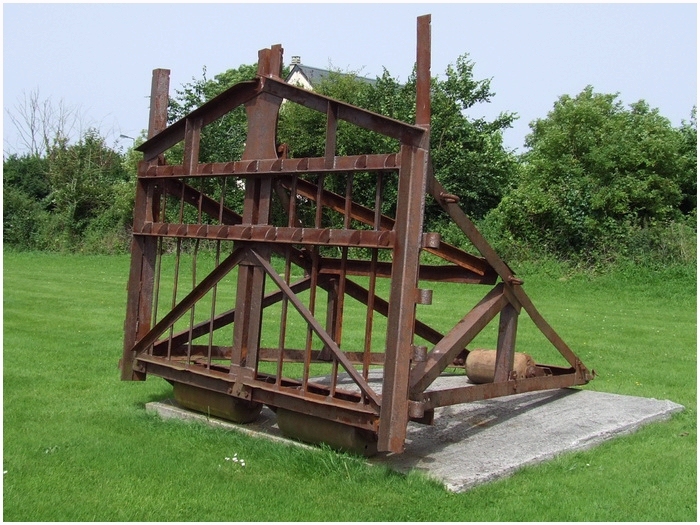 These ‘gates’ were also meant to rip open hulls of landing craft when it was high tide. But to roll these things everyday through the sand was a tiring ordeal, and was therefore not of great use. The above mentioned obstacles were more or less the basic defense at the seashore. But there were a lot of improvisation on the themes. Local experiments lead to other obstacles. There were for instants rafts that looked like driftwood, but had Teller-mines connected to them. When the landing craft finally reached the beaches unharmed, the ramp was lowered and the men rushed ashore. There the mine fields were waiting for them. 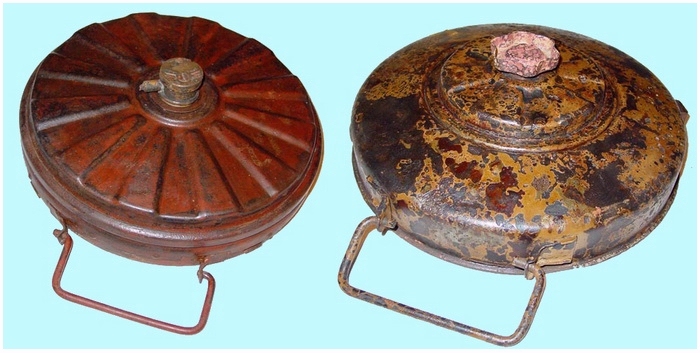 The Teller-mine was a saucer shaped object filled with around 6 kilos of TNT. 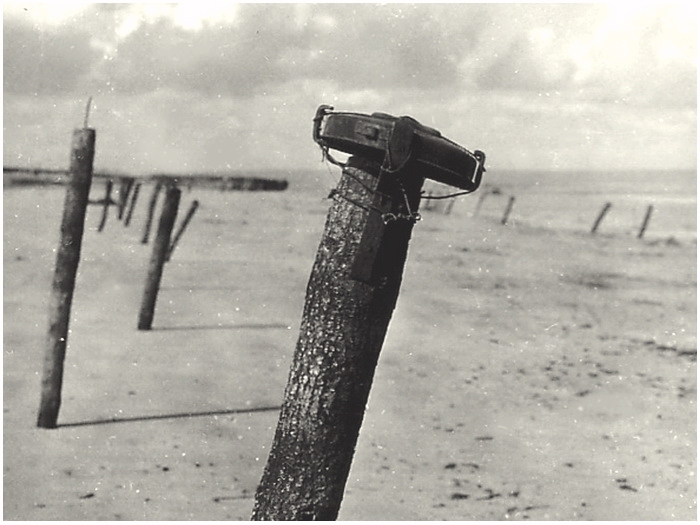 Not only mines were used as explosives on the obstacles, also grenades from the Maginot Line were pointed at sea. In the dunes another nasty mine was placed, the so-called S-mine. 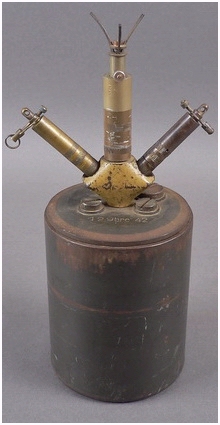 This was the 'Spreng-mine’, when touched or kicked, or through a trapwire, it ‘jumped’ from its cartridge to a height of about a meter, before it would detonate. The effect of the shrapnel that these mines created were horrible. The Allied called these mines the ‘Bouncing Betty’. 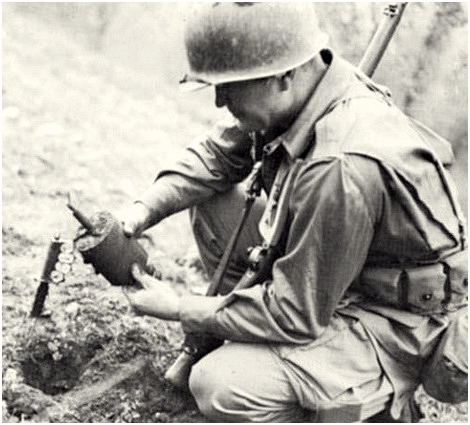 There were also mines in wooden boxes and in glass jars, to prevent detection with magnetic minesweepers. 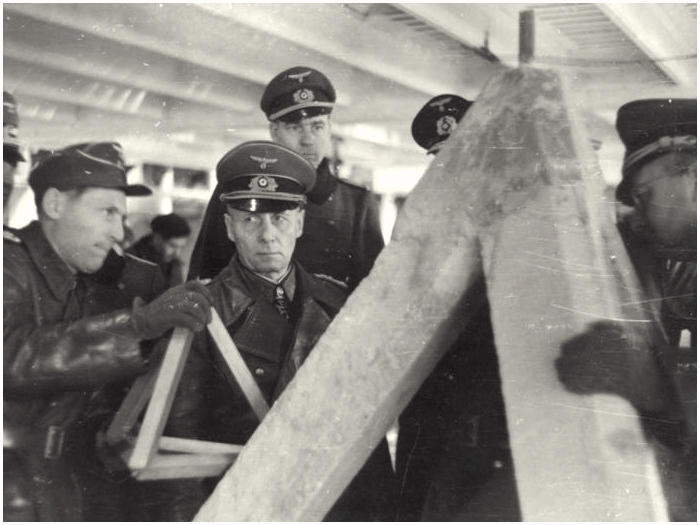 Field-Marshall Erwin Rommel was planning to lay at least 60 million anti-personal mines along the whole of the Atlantic Wall. In June, 1944 ‘just’ 6.5 million were in place. To slow down advancing troops, fields were filled with barbwire. Places where armoured vehicles, such as tanks, were likely to penetrate, anti-tank ditches were dug, and/or ‘Dragonteeth’ and other concrete obstacles were placed. 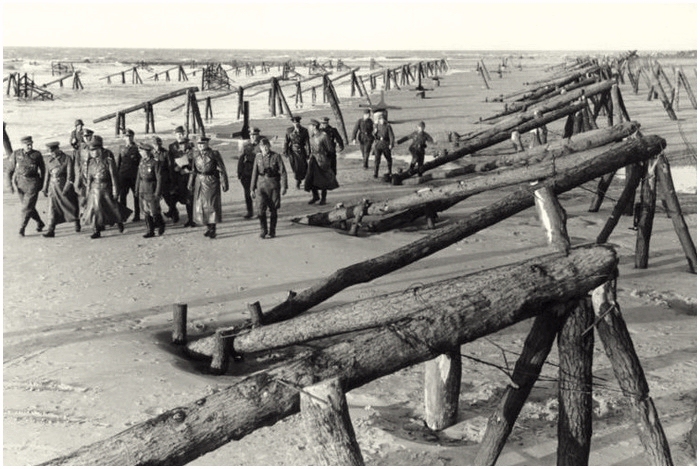 Because of endless reconnaissance by the Allies, they knew about the obstacles that were waiting for them. 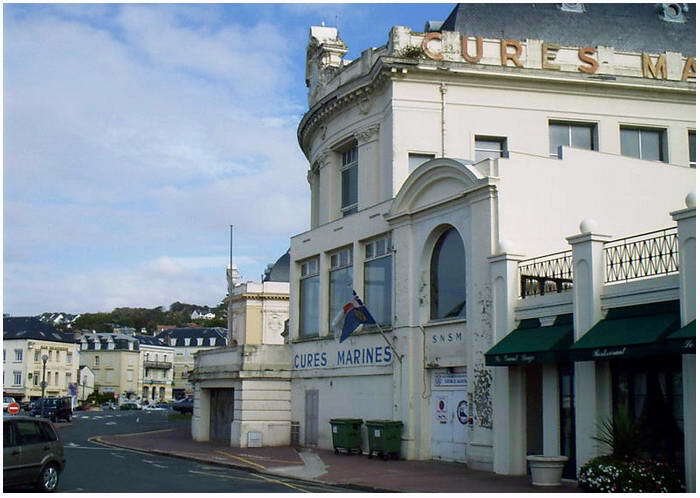 When they planned D-Day, they knew how to deal with them. 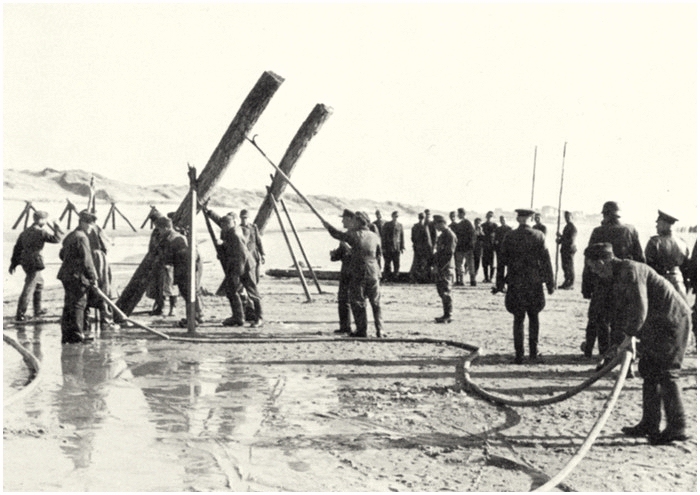 In the first waves during the landings, engineers were given the task to handle the obstacles by destroying them. Special technical armour was designed and brought to Normandy to assist the engineers with that task. Other special weapons, such as bangelore torpedo’s were also great to blow holes through bunches of barbwire. 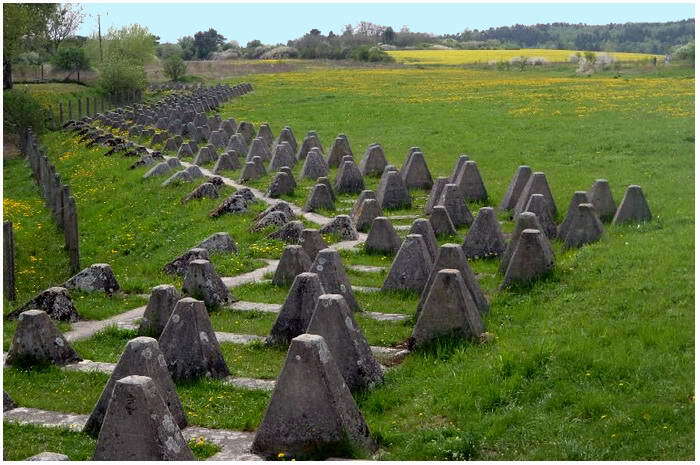 A striking anti-tank obstacle was the 'Hemmkurvenhindernis', Type 388S01. This was built out of bent railway tracks. 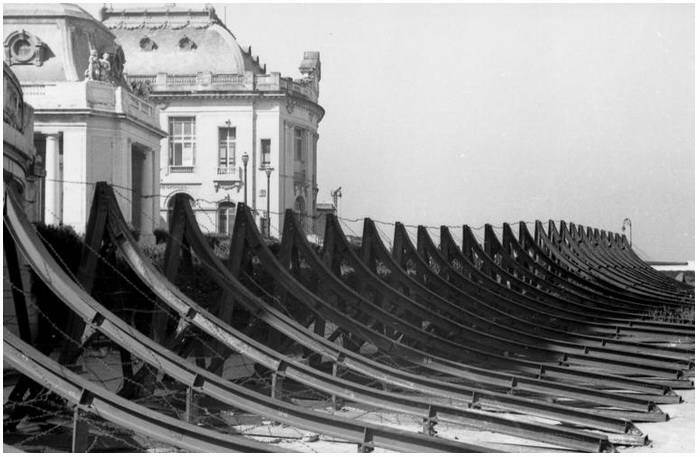 For a kilometer length of this obstacle, 176 pieces of curved rails were needed! 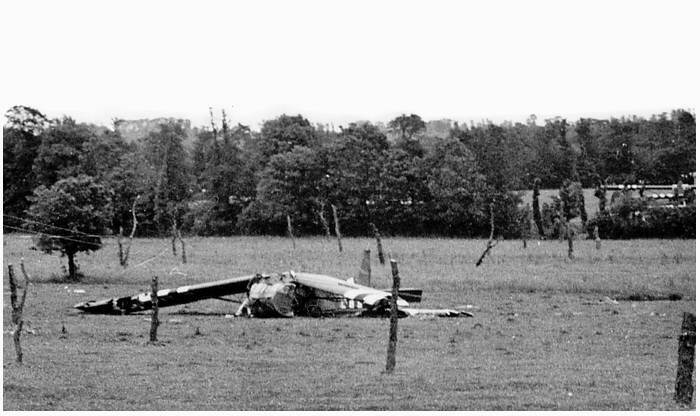 Early on, Fieldmarshall Rommel saw the danger coming from the sky. 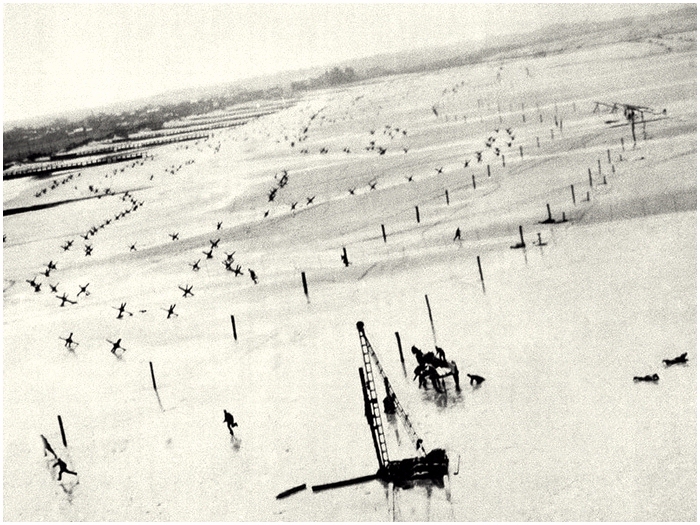 To prevent the landing of gliders and paratroopers, he ordered that every field in the Atlantic Wall should be peppered by 2.5 m high poles. These were connected by wires and every third pole had a mine or grenade on top. In a square kilometer there were around a 1000 poles. 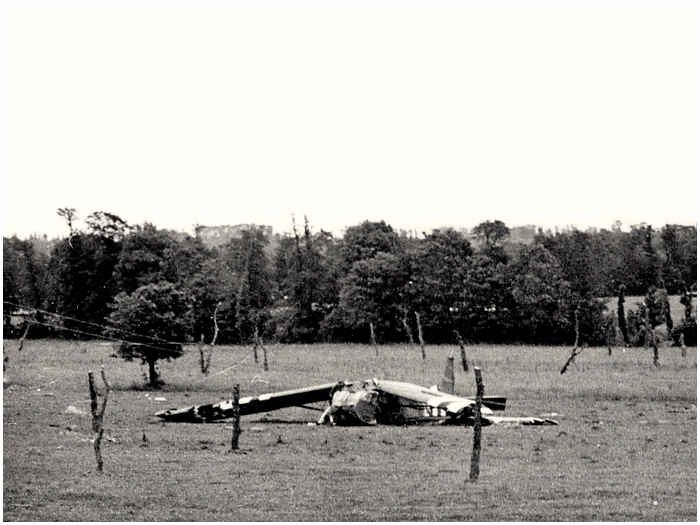 Of these so called ‘Rommelspargel’ (Rommel’s asparagus) were millions driven into the ground.